Already registered and looking for seminars & events? Already registered and want to add additional attendees? Welcome to TransWorld’s Christmas Show, now co-located with TransWorld’s Halloween Show, to create the world’s largest Holiday show! You MUST be 16 years of age or older to attend this event. State issued photo ID required. The cost to attend this event is $60.00 per person in advance* and includes 4 day access to the Christmas show floor, the Halloween show floor, product demos in both shows, interactive exhibits, Escape Room City, the opening night party on Thursday, and an exclusive Christmas Mixer on Friday night. In addition you also receive free Early bird seminars each morning at 9 am before the show floor opens. Register today to take advantage of pre-show pricing. On-site fee will be $75.00 per person. Seminars, Events and Industry Parties are available for an additional cost. Please visit our seminars and events pages for details. *Please note that the Early Bird Pre-Show Discounts of $60 per person will end on Monday, March 18th at 11:59PM CDT. Online registration will remain open after that date at the full onsite show pricing of $75 per person. No exceptions on pricing can be made after the cutoff date so please purchase your tickets in plenty of time before the cut off date. The VIP is by far our best value. It includes 3 one hour seminars of your choice ($120-$150 Value) and the trade show floor ticket ($60 value). 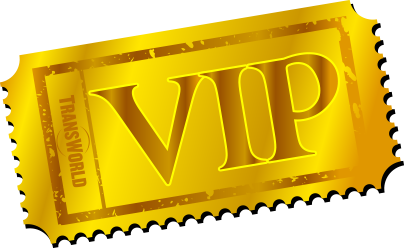 In addition, don’t forget about the tons of perks, swag and VIP booth access on the trade show floor that comes with the VIP Package. If you’re buying at least 3 seminars, this is the ticket you want to purchase. *Please note that the VIP Early Bird Pre-Show Discounts of $310 per person will end on Monday, March 18th at 11:59PM CDT. Online registration will remain open after that date at the full onsite show pricing of $325 per person. No exceptions on pricing can be made after the cutoff date so please purchase your tickets in plenty of time before the cut off date. VIP Pass Holders will have their own reserved private room & bar at the Thursday Opening Night Party which will include 2 FREE drink tickets and FREE appetizer buffet. Coffee, Soda and Water will be served throughout the day. Assorted donuts will be served each morning. Each day Popcorn and snacks will be available in the afternoon. Private VIP Lounge for VIP members only on the trade show floor. VIP members will have exclusive access to Zombie Army’s entire post-apocalyptic style bunker complete with snacks, refreshments, free Wi-Fi, and maybe a little peace and quiet! Booth design & construction by Zombie Army Productions. VIP passes are $310 per person and quantities are LIMITED. No refunds and tickets are not transferable. ALL REGISTRATION PAYMENTS ARE FINAL AT THE TIME OF PURCHASE. REGISTRATIONS ARE NON-REFUNDABLE AND NON-TRANSFERABLE. ATTENDEES MUST BE AT LEAST 16 YEARS OLD. A VALID GOVERNMENT ISSUED PHOTO ID IS REQUIRED FOR ENTRY – Please be prepared to show a valid Photo ID to enter the trade show floor, seminars, parties & events. Valid government issued Photo ID is required to pick up attendee or exhibitor badges. Each person with a badge must present an ID in order to get their badge. NO EXCEPTIONS. Attendees are not permitted to wear costumes when they enter the trade show or walk the trade show floor. Exhibitors are permitted to wear costumes in their booths, but are not permitted to walk the show while in costume. Attendees may wear costumes to TransWorld-sponsored after hours parties & events. Anyone violating the costume policy will be removed from the show. There is ABSOLUTELY NO VIDEO allowed in seminars & workshops.